Its cozy atmosphere of the late 19th century evokes the richness, elegance, and romance of the Victorian era. Apt for 5 to 7 and evenings for girls, but also for one-on-one parties and group outings, this establishment can accommodate 185 people and offers a concise menu perfectly arranged with an inspiring cocktail menu by Lawrence Picard. 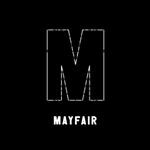 The Mayfair is the ideal place to escape from everyday life and live like a bourgeois of yesteryear for a cocktail, or two ! !